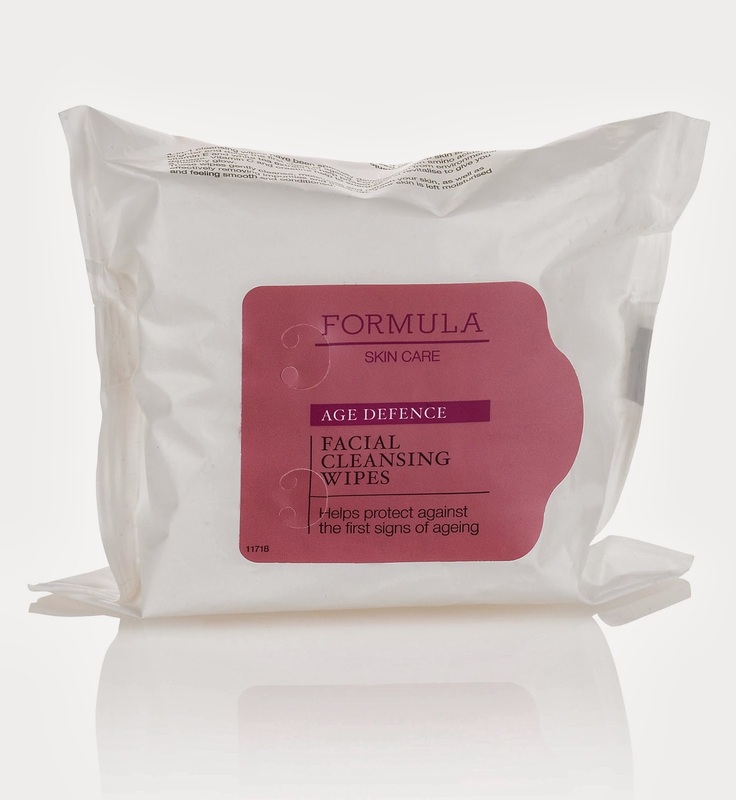 Today's review is of Marks & Spencer Formula Age Defence Facial Cleansing Wipes which have been specifically formulated for those in the 30+ age bracket. Designed to protect against the first signs of aging and helping to prevent fine lines & wrinkles, the wipes contain amino acids and antioxidants from vitamin C and white tea, are made in Britain and are paraben free. Frankly, I'd like to think that those in the 30+ age bracket should have their skincare regime sorted to the extent that they don't rely on facial cleansing wipes. Having said this, there are always going to be times when you can't deny the convenience of facial cleansing wipes- whether you're a 30+ partier, new mum or undertake a lot of travelling. The matte finish on the minimalist packaging gives a grown-up and expensive feel to the wipes. I only use wipes on an occasional basis so I prefer those which incorporate a clip, rather than a sticker, fastening which is more secure and helps to prevent the wipes drying out between uses. With this in mind, I was disappointed to note that these only have a sticker closure. I was impressed that they are made in Britain. The wipes themselves are made of a fairly thick fabric which was able to withstand my "tear test" without ripping when I tried to pull the wipe apart. The major downside for me is that these are on the drier side compared to other wipes that I've tried so I had to use a couple of wipes to remove a full face of makeup. The wipes have a pleasant and fresh fragrance and felt refreshing on the skin. The wipes are described as being "4-in-1" although it's somewhat unclear as to what the four properties are. They certainly aren't suitable for eye makeup removal as I found that they stung my sensitive eye area when I tried to remove my eye makeup. Having said this, on closer inspection of the packaging the directions do say to avoid direct contact with the eyes and what's more, I'd be concerned that the drier wipes would pull at the delicate skin in the eye area. I feel that the claims of skincare benefits- some of which I mentioned in the introduction but there's also claims such as "skin is left moisturised and feeling smooth and conditioned", "help skin appear brighter and delay the first signs of aging", "help protect your skin from environmental damage" and "give you a healthy glow"- are more than a little overzealous and I certainly wouldn't recommend using these with sufficient regularity to be able to be able to gain the so-called skincare benefits (if you really want skincare benefits, follow a proper skincare routine). On the whole, I'm afraid that I wasn't impressed with these wipes. Despite the affordable price tag of £4 for 25 wipes, I feel that these are a false economy because I had to use 2 wipes to remove my makeup. I wouldn't recommend them.